Ever wish you could do more to help the environment, without drastically changing your lifestyle? How about just by sitting on a bench in your garden? 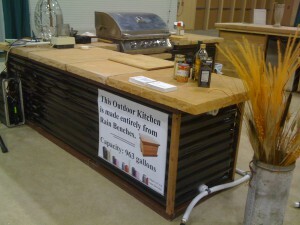 Or around a unique table on your patio with friends, sipping on a tasty beverage? Just as sweet? 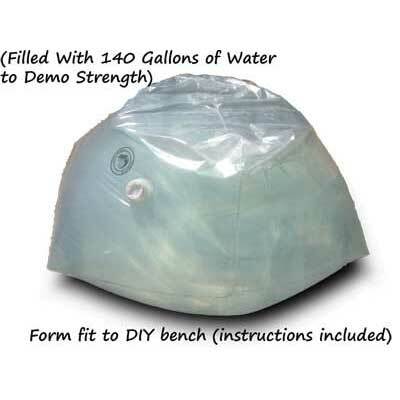 A unique solution to shipping rainwater storage containers: Don’t. 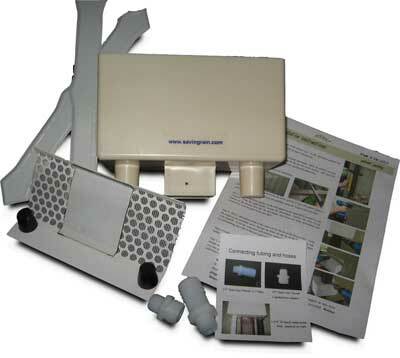 Buy a Do-It-Yourself RainBench Kit here and get the heavy stuff locally, supporting your community businesses. If you do not want to build it yourself, simply let us know. If we don’t already know one, we will find a reliable local contractor to do it for you. Now you are supporting your local service businesses as well! A product that not only reduces your environmental footprint, it directly and immediately enhances your quality of life. To make rainwater harvesting both fun and good looking, like you. While we're at it, why don't we all create a huge safety net to protect against water shortages, just because we can. You can do anything you put your mind to, and even a few things you can't. 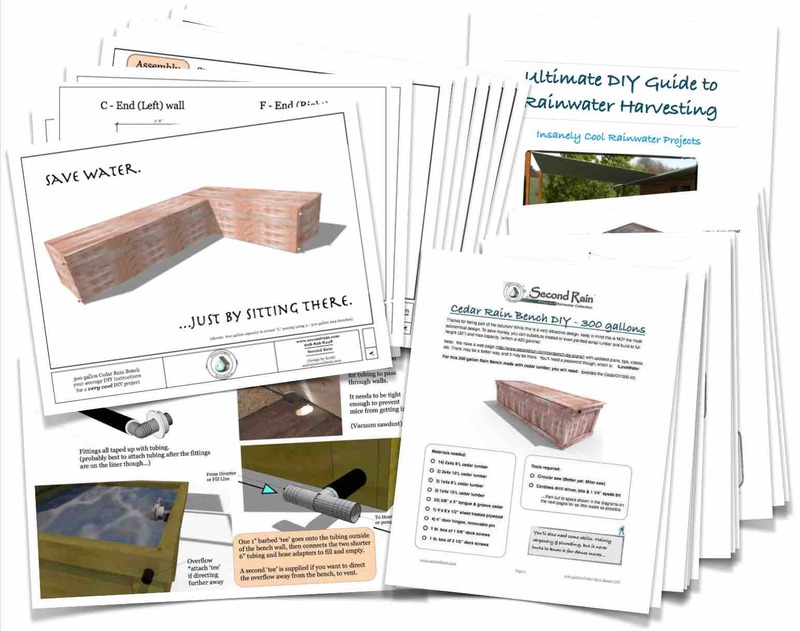 How Much Rainwater Should You Save? Tossed in jail for that third rain barrel?